Go to primark.com/careers and land on to Primark careers page to know more about its careers. 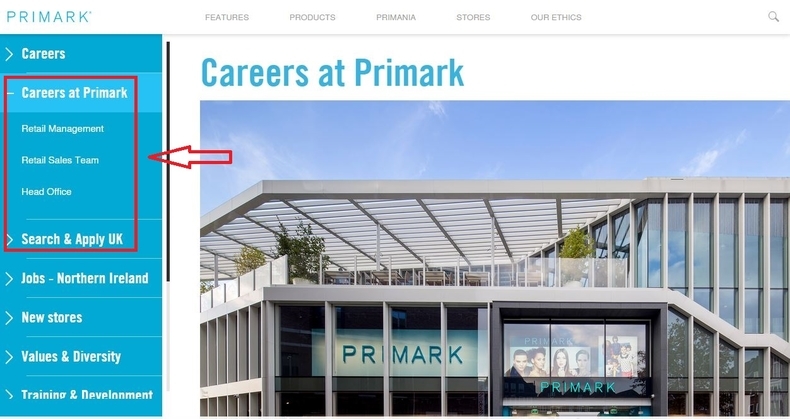 You can click the items on the left of the page to get more information about the careers as well as areas at Primark and then click to search job opportunities in the corresponding fields. Or you can directly click "Search & Apply UK" or "Jobs - Northern Ireland" to search job openings. Here we choose to search job openings in the UK. 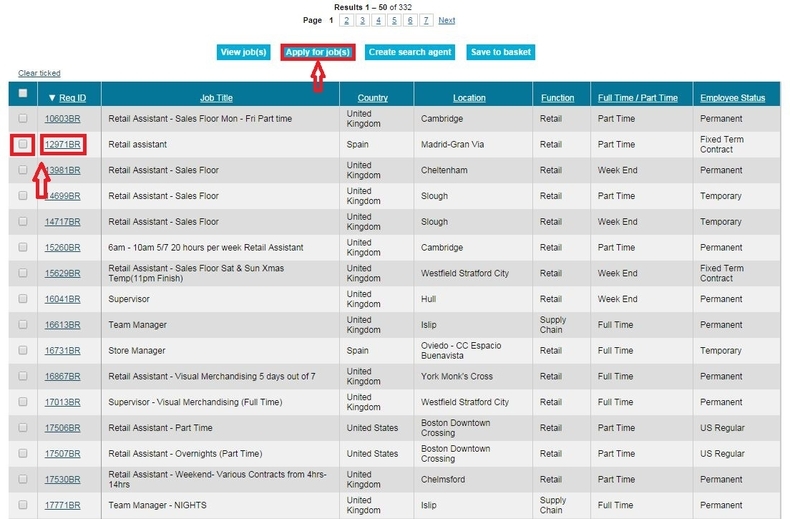 Using the search criteria to identify the career opportunity you are looking for and click Search. Here we choose to click Search directly to view all the job openings. Browse the job openings list and select one for you. You can click the Reg ID to view the details of each position and think about which position you are going to apply for. 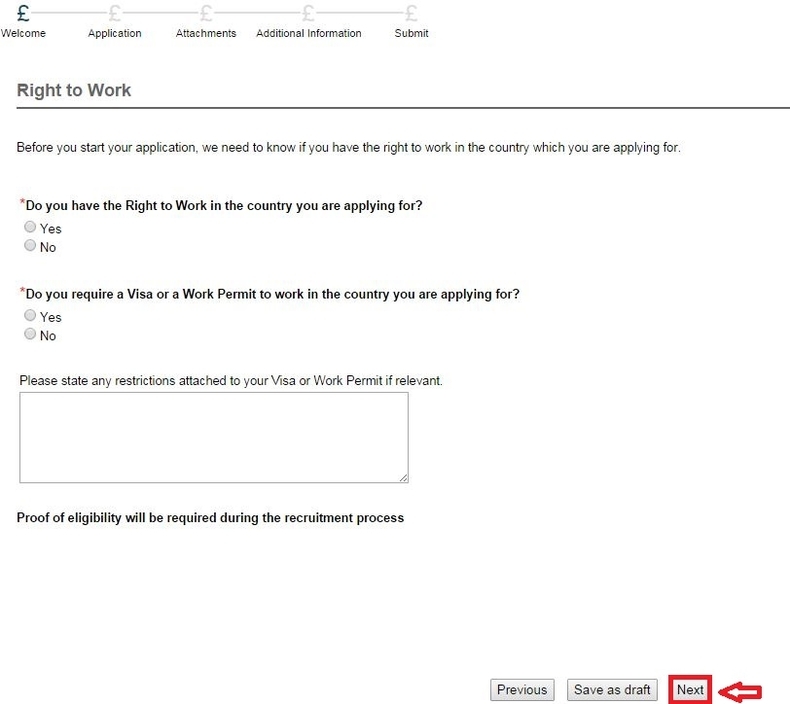 Or you can tick the box on the left of a position and click "Apply for job(s)" to start your application. 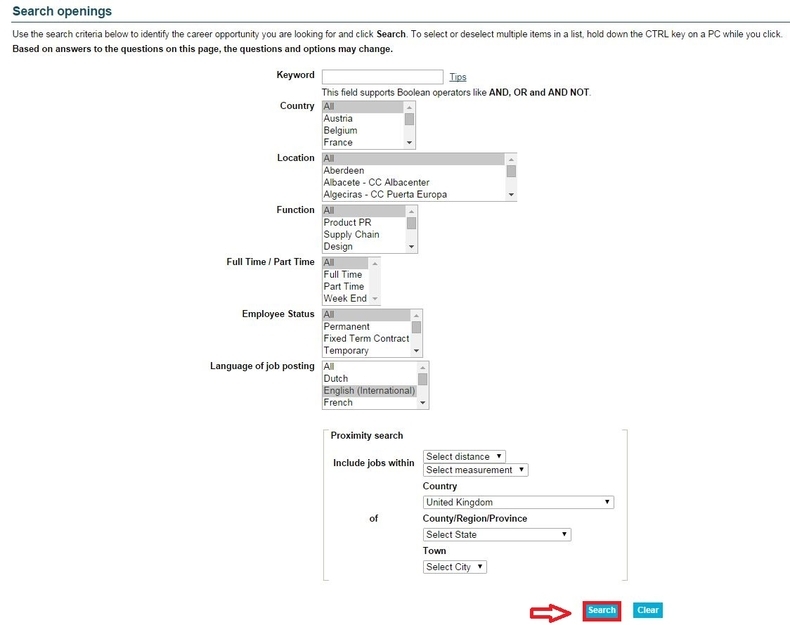 Here we select the second position and choose to view the job details first. View the details of the position, especially the requirements and think about whether you are going to apply for the position. 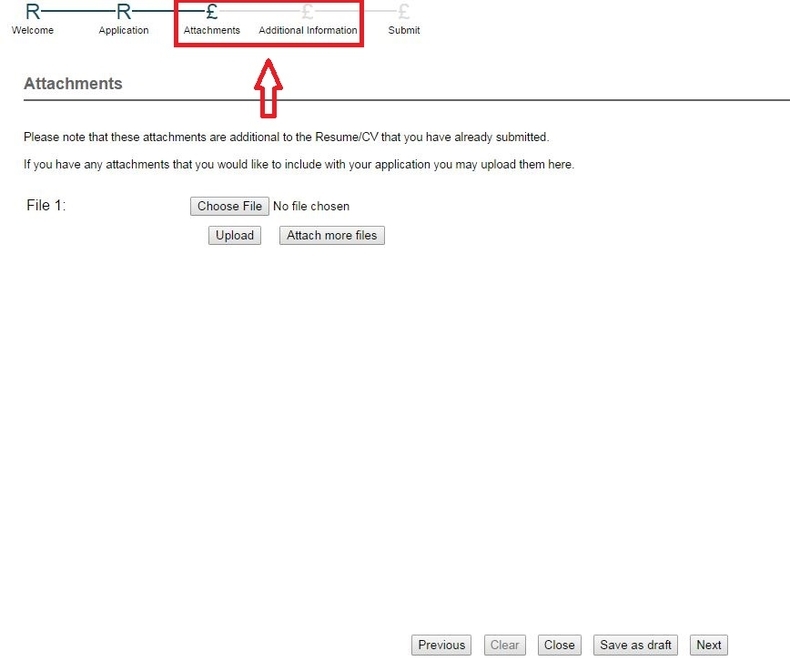 Once you decide to apply for a position, just click "Apply for job" to start your application. Provide some information about you, your right to work, current information, availability to work etc. The fields marked with asterisk are required. When you finish all the required fields in each page, just click the Next button to move on to the next page. Complete the online application form through uploading your resume or cover letter, filling out your personal details, providing information regarding your experience and education. 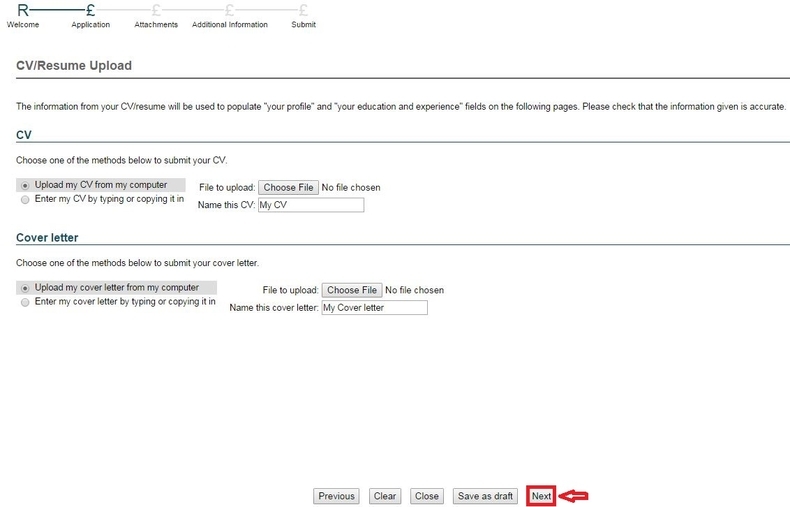 First of all, you need to choose one of the given methods to submit your CV and cover letter and then click the Next button to continue. Follow instructions to finish the rest steps like uploading additional attachments and providing additional information. You need to finish all the required fields in each step and then click the Next button to proceed to the next step. 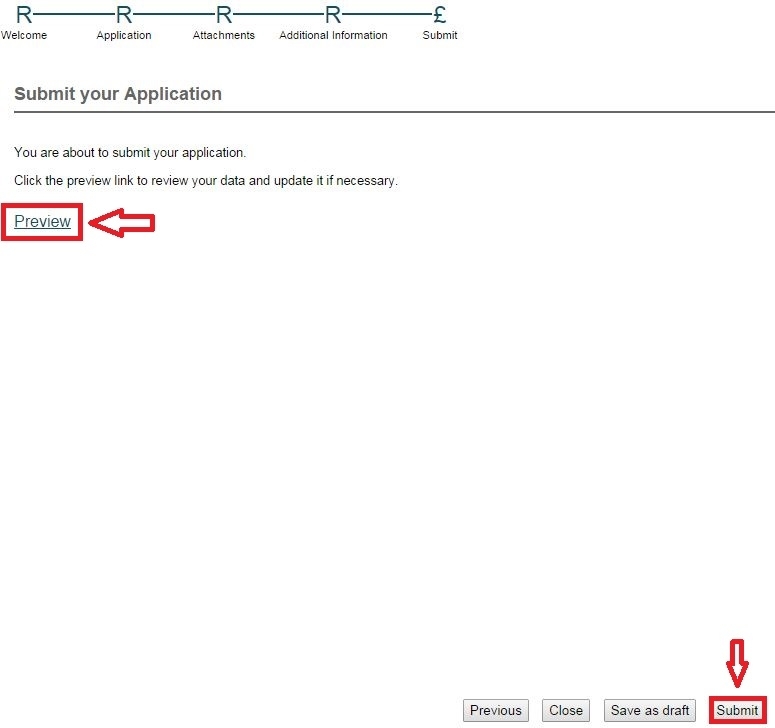 After you finish the previous steps, just submit your application by clicking the Submit button. You can click the Preview link to review your data and update it if necessary. The final step is to take an online assessment. 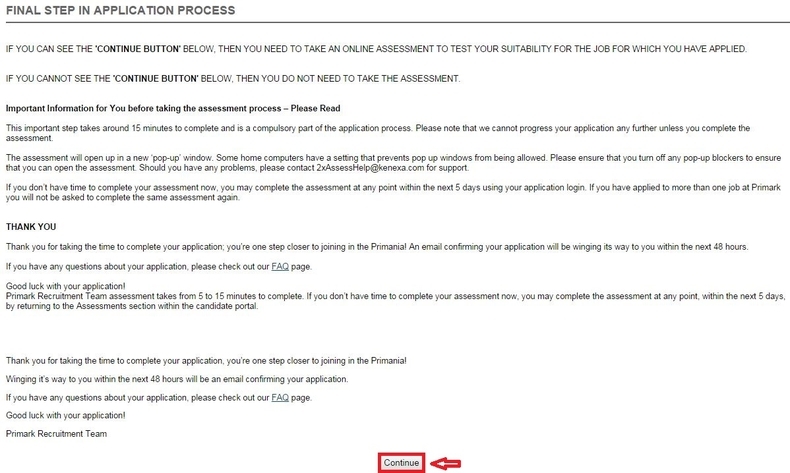 After you submit your application, you will be directed to a page where you can see the notification which indicates the importance of completing an assessment. It will take you around 15 minutes to complete and is a compulsory part of the application process. Your application can not be progressed any further unless you complete the assessment. You can click the Continue button to start the assessment. You may complete the assessment at any point within the next 5 days using your application login if you don't have any time to complete it at this time. Click primark.com/careers to apply for Primark jobs online.